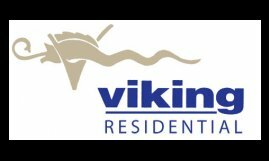 response from property - Jun 12, 2017 We are happy that you enjoy living at Wellington Woods. Thank you for your tolerance with the parking availability. It's a lovely place to livesubmitted by Jennifer G. - Apr 27, 2017 |Recommended: YesThe property is nicely kept and the extra amenities are inexpensive and well kept. response from property - May 04, 2017 Thank you for choosing Wellington Woods as your new home. We hope you continue your residency for many years! We like itsubmitted by Tyra W. - Feb 23, 2017 |Recommended: YesI have an updated apartment and that's nice. The office staff and Sherry are very helpful and understanding especially when you a having issues. Corey in the office is a staple he's beyond great. Whenever I have issues inside my apartment maintenance is great. My building is clean except when someone leaves their trash overnight in the hallway. Neighbors are cool just some can be loud and play their music. Parking is horrible. Cars park over the lines and in front of mail boxes. And you can here every door slam. I'm happy here but would appreciate a little common courtesy from neighbors. response from property - Mar 03, 2017 Thank you for taking the time to write a review Tyra ! We are so glad that you are enjoying your upgraded apartment & happy to hear that maintenance has been quick to respond to your requests. We understand the parking situation & are doing our best to rectify it. We hope that you will be a Wellington Woods resident for many years! response from property - Nov 07, 2016 We are very happy to have you as a valued resident for the last several years! response from property - Nov 07, 2016 We are thrilled that you decided to transfer to an upgraded apartment & that you are loving it. response from property - Nov 07, 2016 We are so happy that you enjoy living at Wellington Woods! Affordable quality apartmentsubmitted by Johanne M. - Jul 05, 2016 |Recommended: YesI was quite surprise that it didnt cost me an arm and leg to move in to this little quiet oasis in pennsbury. there are many more apartment complex in the area but Wellington Wood was the only one i considered to move in without a second thought. Great Staff, super friendly, Great school district if you have children and everything you need is less than a mile away. response from property - Nov 07, 2016 We are glad you have been enjoying living at Wellington Woods for several years. Would love to have you for several more but wish you good luck in your house hunting! Nice overall property submitted by Jennie A. - Jun 29, 2016 |Recommended: YesThat it is a quiet, clean atmosphere that I am overall enjoying very well. Parking tends to be a little struggle and fixtures in the apartments are a bit outdated, but overall it has been a nice place to live. Staff is very professional and helpful at all times. New residentsubmitted by Brittney G. - Apr 09, 2016 |Recommended: YesI moved here in Sept 2015 and I love it The staff in the leasing office is so great They are so kind and are really helpful. Whenever I have put in a maintenance request, it has always been completed on the day that I ask for them to come. I have yet to have a problem. The grounds are kept nice and its a quiet area.